Week nine was full of treadmill running. Alter G. Woodway. You get to know the difference in treadmills when you’ve been using them for weeks on end. With the bridle path an icy mess, and trying to limit the amount of pounding my foot takes on the road, it’s been interesting doing every type of running workout on the ‘mill. Saving grace? I know a lot of you are having the same experience. We are not alone. Another snow storm hitting the city meant I took my tempo indoors on Finish Line’s Alter G. Great, sweaty run while watching the snow come down. Happy to see Coach dropping my training paces now. Feels good. Ran on the AlterG since sidewalks and roads were icy. Eighty percent body weight for 45 min. Felt good. Did intervals on the treadmill and am very happy with how these felt. Building back up in 800s and dropping pace gradually. 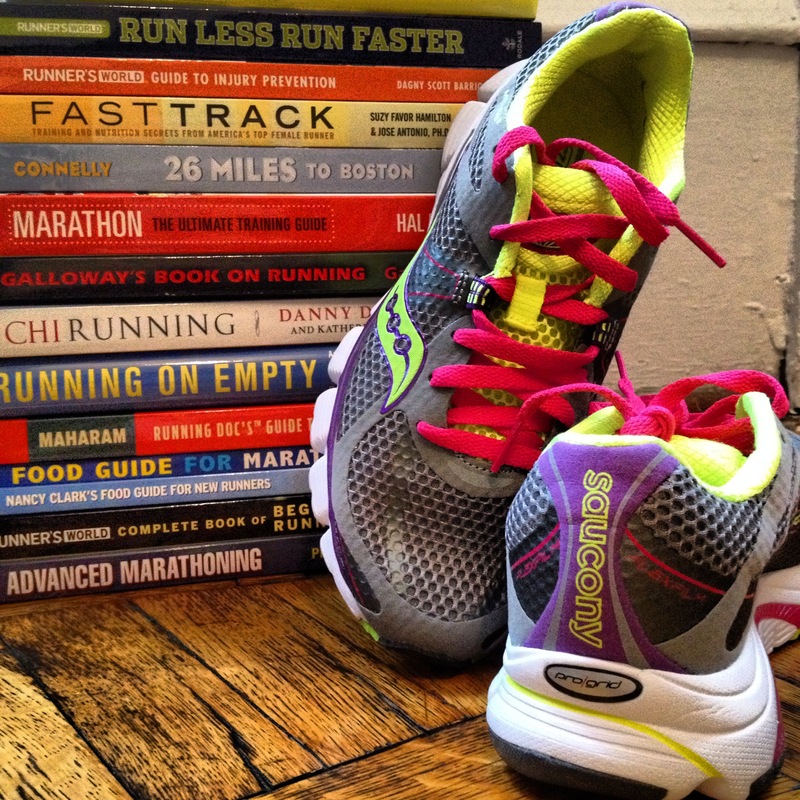 First run in a new pair of Saucony Mirage 3, and they felt great. Though, Coach reminded me to get at least 20-30 miles of easy running in these before using them for speed work again. Ran on the Woodway, as I was time-crunched to get this workout done. Was scheduled to run Saturday, but moved it up a day since I was traveling to Boston. Felt fine and kept pace very easy. Traveled back from Boston early in the morning. Rested up in the afternoon and decided to do a very easy, low resistance spin session in the evening to shake the legs out. Maintained cadence of 95+ rpm. See all weekly workout recaps here. Cancer Don’t Care – Two Days To Go!